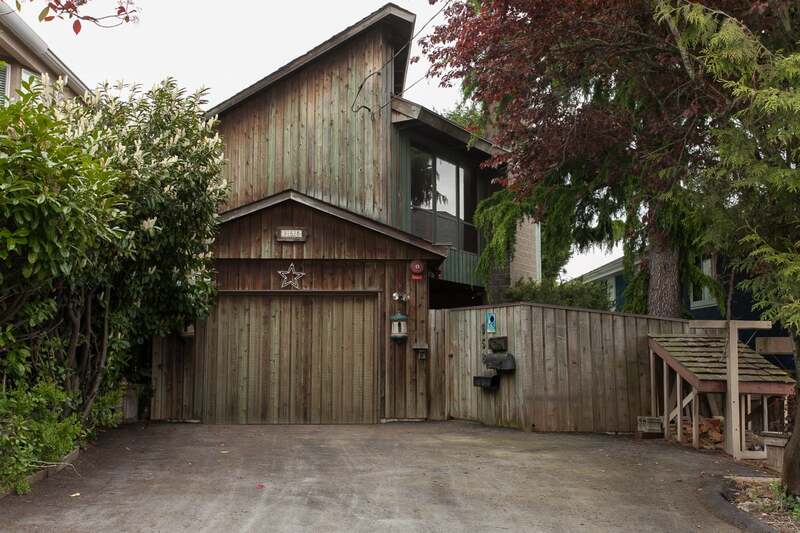 Large two-storey home with terrific views to the east and the Peace Arch as well as west toward the ocean. The basement entry floorplan allows for the option to create an in-law suite down with main level living on the upper floor. Spacious rooms, an open floorplan on the upper level, three bedrooms and 2 bathrooms up would make it perfect for families. This is a great investment opportunity, renovation project, or potential new build. Located in Peace Arch Elementary and Earl Marriott school catchments.